If you do not agree to be bound by all of the following warnings, restrictions and disclaimers, please exit the Ancient Stones web site immediately. Ancient Stones does not offer legal or professional advice, and the contents of Ancient Stones web site are not intended to take the place of such advice. Please consult an appropriate professional before using any of the information, advice or other resources that you may find on Ancient Stones. Please use caution and common sense in evaluating and using this resource. Ancient Stones does not endorse or guarantee any of the information, advice or other resources that may be mentioned or made accessible through out Ancient Stones. Without limiting any of the foregoing notices and disclaimers, please note that Ancient Stones web site and Content are made available without warranties or guaranties of any kind, and Ancient Stones disclaims any liability for any injury or damage resulting from the use of the Ancient Stones web site or any information, advice or other resources that may be mentioned or made accessible through Ancient Stones. Ancient Stones and the Content are provided on an "as is" basis without any warranties of any kind. Ancient Stones, to the fullest extent permitted by law, disclaim all warranties, either expressed or implied, statutory or otherwise, including, but not limited to, the implied warranties of merchantability, non-infringement of third parties' rights, and fitness for any particular purpose. Ancient Stones makes no representations or warranties about the accuracy, reliability, completeness, correctness, or timeliness of the Content. Likewise, Ancient Stones does not make any warranty that the Content contained on Ancient Stones satisfies any applicable laws, religious viewpoints or government regulations. 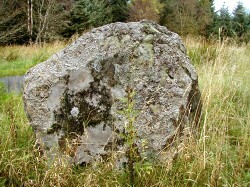 In no event shall Ancient Stones be liable for any damages whatsoever (including, without limitation, actual, compensatory, incidental and consequential damages, lost profits, or damages resulting from lost data or business interruption) resulting from use or inability to use Ancient Stones or the Content. This disclaimer applies to any damages or liability based on warranty, contract, tort or any other legal theory, and whether or not Ancient Stones is advised of the possibility of such damages or liability. Other than for your personal, non-commercial use, you are not allowed to print any pages or screens from Ancient Stones. The Content may not be distributed in a generally accessible (public) web site without the prior written consent of Ancient Stones, which may be withheld in Ancient Stones sole and absolute discretion. All or any portion of the Content collected and/or distributed pursuant to Ancient Stones prior written consent must bear visible credit to Ancient Stones.